Travel with Kevin and Ruth! : Breaking news! So we're sitting at the computers last night, and I see a flight deal highlighted on my facebook feed. Any of our long time readers know that we are suckers for a good flight deal. Whenever we fly anywhere, we want to be the people on the plane who paid the least amount of money! We took a look at this one... and after a five minute decision making process... we booked it! We are finally going to Australia! The flight is Calgary to Melbourne with a connection in Los Angeles. May 16th to August 15th... three months in the land down under! We paid $650 CAD ($490 USD) return. A price too good to pass up. Normally, it's a deal if you can get it for under $1,000 CAD. ($750 USD). And even better, it's flying with Qantas, one of the top 10 airlines in the world. Something like this will do for three months! We will probably buy a small campervan for the time we are there. Likely not as new as the one in the photo above, but that style of van. Our friends Glen and Steve are planning another three months there next winter so maybe we can come up with a plan to share a van. I know you thought we were going to Newfoundland next summer. Obviously, that's no longer happening. But we are known to switch things up now and again, so Newfoundland will have to wait! Yesterday, we got some radios installed in some of the units, so that is coming together. A couple more to do today. Everybody is here but Garth, although he stopped by for happy hour yesterday. His brake master cylinder went bad a few days ago, so he's having that repaired. The part is supposed to show up at noon today, so hopefully (fingers and toes crossed) that will be completed today. Seems like a great group of people so far! One of our Amazon packages was a new set of valve extensions for Sherman's rear tires. Two of them have gone bad... both on the same side. So we walked over to a nearby tire shop to see if he could remove one wheel for us so I could access the extensions. Spanish only, so we got some practice for what's coming over the next few months! The guy said he could do it, so we walked back and got Sherman. The job took about 20 minutes and I asked how much... "seven dollars" he says. Almost Mexico prices! I gave him a ten and we were both happy. Oh, I picked up our two day car rental . I had booked it through Enterprise a couple of weeks ago for 1:00pm. I called them at 9:00am to confirm and arrange for them to pick me up at 1:00pm. 1:00pm came and went so I called them. They gave me a song and dance about lack of employees and so I said I would ride my bike over. It's only about 3 miles (5 kms). Then the truth came out... your car isn't here yet. Long story short, it was 3:30pm when I finally got a car. In compensation, they gave me the car with a full tank of gas, but I can bring it back empty if I choose. I'm okay with that, however gas is so cheap around here I probably only saved about $10. Better than nothing, I guess. Lots to do again today, so better get at it! Battery Operated Compressor normally sells for about $70. Sounds like a great Australia deal. What will the weather be during the winter? Sounds better than their summer temperatures. It is a fantastic price, and the main reason that we are going. Kevin said he hasn't seen a flight from Canada to Australia that low before, so it just seemed like the right time to jump on the chance to go. Derek from Australia and I compared vehicle and other prices in comparison to Canada. Nearly double the cost. Lost of research ahead as you will be going during their winter. Good deal on the flight. Nice to see the Mexico gang getting organized. Yes, vehicles will be more expensive to buy but they also resale for much the same price as you bought it, so we really aren't too worried about that. Food will also be more expensive but we proved that we can keep do well in that category because we did just fine on our trip up to the Yukon this summer where food was more expensive. I know that we can make this work for us on a reasonable budget. Our flight deal was fantastic! Kevin said he has never seen flights to Australia this cheap from Canada and that is the reason that we jumped on it. The money we saved there will help us with some of the other expenses. Australia, I can't wait to come along on the blog! It was basically a Mexican run tire shop in a Mexican neighbourhood charging Mexican prices. We highly doubt that many "tourists" go to this shop, and that is exactly what we were looking for, that said we were still amazed that he only wanted $7 for the job. Enjoy Australia, hope it is not too cold when you are there, Buying and Rv and reselling is the best way to go. Soon you will be on your way to Mexico. Trust us we will enjoy Australia! :-) The temperatures in the areas we will be in, will be cool but they shouldn't be cold, other than maybe an occasional day here and there, plus we will be working our way north so it will only get nicer. Just Wondering how your Canadian health insurance works being out of Canada for so long. Not sure if it would be a problem or not, but we aren't going to let it dictate to us how long we have to be out. Besides in Saskatchewan if you are over the time requirement once you are back in the province for three months then it is active again. Did you hear any feedback from the "amazing race" adventure and how was your survey results? Yes, there was a short paragraph towards the end of the November 23rd blog post. What is the weather like from May to Aug. in Australia? Well, Australia is obviously a big place. We fly in to Melbourne where the May low and high temperature ranges from 50f to 65F (10C to 18C). But we will head up to Sydney and Brisbane where the June and July low and high temperatures range from 50F to 72F (10C to 22C) on average. We are so looking forward to this trip, we have been wanting to visit Australia for quite awhile now but the airfare has always held us back. We are going to keep our eyes opened for any housesitting that might be available. As for Uluru, we would love to go but it is so far away from where we will be. We don't want to spend all our time driving and not be able to spend time exploring. It may be possible to find a cheap flight there and visit it that way because it is definitely somewhere that we would love to see. If we don't see it this time then it can just wait for another visit. We will see what happens as time goes on. 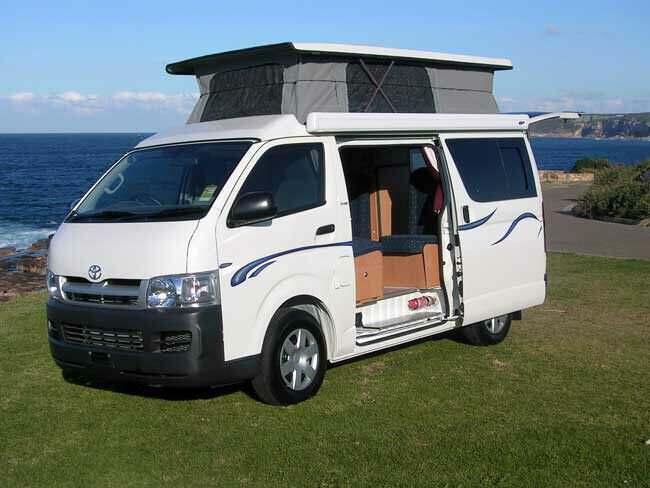 We will have a look at the Jucy Campervans being sold off, that is always a possibility. If you get a chance, visit one of the kangaroo sanctuaries while you are there. I follow two on IG and one offers sunset guided tours and you can actually hold the babies sometime. I now have something to get excited about for this coming summer. Thanks guys!! Great! You'll have time to take didgeridoo lesson! We actually found a Mexican on one our trips who teaches the instrument. You are going to be thrilled at Australia! You knew we were there a couple of years ago and are sooo happy we spent time in Oz. Big country, lots to see and do -- probably take two lifetimes to see it all. Yes, we did pet kangaroos and saw the penguins waddle ashore and watched the awesome sunset turn Uluru a vivid red. A tour of the Opera House (and a ballet performance) and the Taronga Zoo were happy-experience highlights in Sydney. I'm excited for you! I think we will be too! We are definitely looking forward to this new adventure. Lots of planning ahead of us. I remember reading about your trip to Australia and to New Zealand and we were pretty envious of you both. Not sure that we will have the time to visit all the places that we would love to see but we will certainly put a dent in it. My cousin from Saskatchewan married an Australian and lives on Kangaroo Island. If you make it down that way (near Adelaide), I'm sure they would love to have you over - they are very friendly! He is a stonemason, and they have somewhat of a farm property, with some sheep, and some ponds where they raise marron. I'd be more than happy to put you in touch with them if you are interested.